The upsurge of smart phones and tablets has forced traditional PC companies to seek transformation in varying degrees. In terms of chips alone, this also puts higher requirements on low power consumption and portability. Intel, AMD and other companies are gradually entering the mobile market, competing for future growth. Although AMD has a good market share in the server space, it has been suppressed by Intel in the desktop PC market. In the past few years, AMD has been trying new technologies to challenge the CPU chip game rules. Through the release of 64-bit CPUs, dual-core products, acquisitions of ATI, and the release of APUs, AMD has won more users for itself, but at the same time, AMD will face the fierce competition in the mobile space as intel. AMD's first 64-bit desktop CPU change game rules in 2003 AMD gave its strong competitor a "surprise" in 2003 and launched a full-scale 64-bit desktop-class CPU product. Although this behavior is considered to be an easy way out, it is also AMD's proposal for a new one. The rules of the game compete, and this strategy has also won a lot of markets for AMD in the coming years. Of course, it is still an era of rapid development of hardware headed by chips. PCs are increasingly driven by games and large-scale software, and Intel has always dominated the trend of the industry, that is, it has continuously released faster frequency products. The release of AMD in the dual-core market was considered to be the biggest market breakthrough in those years. At that time, Intel was mainly promoting hyper-threading technology. AMD's 64-bit concept has won many users for AMD. 64-bit CPU has been fully applied in the processor market, but this use of the desktop is an important breakthrough in the X86 architecture. Since 2004, AMD and Intel have started to compete on the dual-core concept and launched products in 2005. Intel used its own capacity advantage to lower prices and regained some of the market in the dual-core concept. In 2006, the acquisition of ATI formed a multi-line competition. Although the new concept has been used to win the market, the form of Intel-led CPU has not changed in the entire market. AMDâ€™s acquisition of graphics card processing company ATI in 2006 undoubtedly brought new products to the industry. The change. ATI was originally unique in the field of graphics cards, but in the competition with NVIDIA is even more strenuous, AMD announced that 5.4 billion US dollars to acquire ATI changed the overall competition in the chip industry. Starting in 2007, although ATI was not in the company, AMD continued the rapid development of ATI's design process in the field of graphics processing. The fact proved that the acquisition of AMD provided greater support for the former's R&D. However, the cooperation between ATI and Intel was also interrupted. Intel began to form an alliance with NVIDIA, and the relationship between AMD and NVIDIA was also unstable. AMD's choice is to create a larger platform by integrating graphics chip technology with M&A. In 2008, the spin-off of the chip factory focused on chip design. AMD's acquisition of ATI was a risky move, even with debt, but after that, AMD's finances had problems a year later. The market value of the company was even higher than that before the acquisition of ATI. Still low, the company had financial problems. Until 2008, AMD chose to spin off chip manufacturing plants to focus on companies that focused on chip design. Prior to the combination of chip design and manufacturing was the choice of most manufacturers, but in the CPU area, due to the huge expenses and continued R&D investment in both areas, only Intel finally persisted. AMD's spin-off in 2008 also means it can no longer be maintained. This mode. Prior to this, AMD experienced several quarterly losses and cash flow was already very tight. In October 2008, AMD announced that it would split its manufacturing facility into a company called GlobalFoundries. The industry believes that AMD's spin-off was the only way to go, and the development trend of the semiconductor industry has high requirements on process technology and design. This also requires manufacturers to choose the mode of manufacturing outsourcing when they cannot support expenses. This is also the trend of the semiconductor industry. .
After releasing the APU integrated graphics processing chip spin-off manufacturing plant in 2011 and sharing the loss of the factory in several quarters, the AMD listed company finally received a profit. AMD's vision of acquiring ATIâ€™s integrated graphics processing chips was also realized in 2011. AMD launched the APU platform to integrate the previous two technologies. 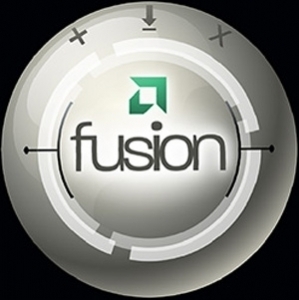 "True Fusion" has become AMD's leading vocabulary for this year, and the integration of multi-core processors and chips that support DirectX 11's performance alone will be AMD's future competitors. At the same time, Intel also defined its theme this year as integration with the graphics processing chip, thereby introducing the Sandy Bridge architecture. High-performance and low-power integration on multiple platforms requires smaller chip area and power consumption. This also changed the GPU competition strategy previously proposed by NVIDIA. In the NVIDIA concept, the future GPU will replace the CPU as the main computing core, but NVIDIA also weakened the cooperative relationship between Intel and Intel because of the GPU concept. Facing more fierce competition in the mobile chip field Although AMD has opened a new competitive situation on the desktop, this still cannot change the impact of IT vendors' full acceptance of the mobile Internet trend. The X86 architecture is challenged by low-power embedded architecture as a whole. AMD plans to introduce CPU products for tablet PCs during the year. The tablet market opened by the Apple iPad is impacting the previous netbooks, and AMD and Intel are unwilling to let go of this market. There are new opponents in new areas. As ARM executives said before, ARM is not a company. X86 vendors have to compete with them to challenge an industry, and AMD is facing more fierce competition.